Catharine Clark is the owner and director of Catharine Clark Gallery. 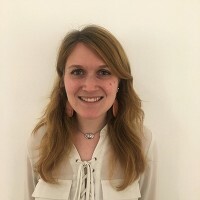 A San Francisco native, Catharine has lived and studied abroad and in Philadelphia, where she attended the University of Pennsylvania, earning a BA with honors in the History of Art. After dancing for Morphe Danza Teatro in 1988 - 1989, Catharine returned to San Francisco and began a career working in the visual arts. She developed and taught a professional practices course at the San Francisco Art Institute and has guest lectured and juried at universities, museums, and other institutions locally and abroad. 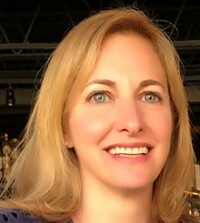 An accomplished author and editor, Catharine most recently edited the monograph American Qur’an by Sandow Birk, published in November 2015 by W.W. Norton & Company. In 2006, she edited the monograph Ascending Chaos: The Art of Masami Teraoka 1966-2006, published by Chronicle Books, while also contributing an essay for the book. In 2007, she authored “The Politics of Landscape” for the Sandow Birk: The Depravities of War, published by Grand Central Press, to which she also contributed an essay. In 2013, Catharine edited Sorted Books by Nina Katchadourian, another Chronicle Books publication. 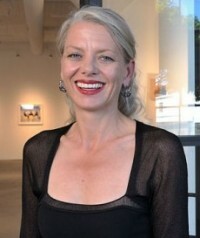 A member of the San Francisco Art Dealers Association since 1994, Catharine has served as a trustee and executive committee member for ZER01: The Art and Technology Network, Lick Wilmerding High School Alumni Board, Visual Aid, Recology, and SF Camerawork. She has also been on the advisory boards of the San Francisco Arts Education Project and UC Berkeley’s Art, Technology and Culture Colloquium. Since 2008, she has worked as a consultant and grant reader for Creative Capital. In 2014, Catharine was awarded Arttable’s Northern California Chapter's Award of Service to the Visual Arts. In addition to programming exhibitions, Catharine also hosts fundraising and development events for non-profits and political campaigns. Recent events have benefitted Hillary Clinton’s presidential run, Margaret Jenkins Dance Company, the San Francisco Art Education Project, Words on Dance, Headlands Center for the Arts, Access Institute, the Museum of Performance and Design, Zhukov Dance Theater, Film at 11’s documentary The Uncondemned, Live Oak School, Lick Wilmerding High School, di Rosa, Visual Aid, LYRIC, and Openhouse. Anton Stuebner is Associate Director at Catharine Clark Gallery. He is also a Staff Writer at San Francisco-based online periodical Art Practical whose columns and reviews examine the intersections of queer representation, critical race, and visual cultures around bodies. He has presented research through Queer Conversation on Culture and the Arts (QCCA), the Midwest Interdisciplinary Graduate Conference at the University of Wisconsin – Milwaukee, and the Visual and Critical Studies Graduate Symposium at California College of the Arts. In 2016, Anton was selected for the Emerging Scholars Program through QCCA, an ongoing collaboration between the Queer Cultural Center, California College of the Arts, and the University of California, Berkeley’s College of Environment Design. He was also awarded a 2015-2016 Project Index Fellowship through the Kadist Art Foundation. He holds a Master of Arts in Visual and Critical Studies from California College of the Arts and a Bachelor of Arts in English from the University of California, Berkeley. Aubree Mladenovic is Registrar at Catharine Clark Gallery. She graduated from University of San Francisco with a Bachelors Degree in Art History & Arts Management. In 2015, her essay on architectural history, examining the esteemed Jesuit church in Rome, Il Gesù, and its construction and legacy in relationship to classical ideals of the human body, was published in Writing for the Real World, vol. 13. She has studied in London, England, and St. Andrews, Scotland, where she focused on nineteenth-century photography, Post-War Scottish painting, and contemporary European street art. She has since worked in bar and restaurant design, antique map sales, and as a freelance curator for coffee shops and venues across San Francisco. Outside of the gallery, Aubree is a practicing visual artist with a focus on pen and ink drawings, using a combination of embroidery and collage. Drucie Belman is an Associate at the Catharine Clark Gallery. She and her family moved to the Bay Area from Park Slope, Brooklyn in 2015. Drucie has worked in galleries and museums in the US and abroad, notably the Loft Gallery in Paris and Hong Kong. In Brooklyn, she promoted the Gowanus Open Studios, a tour of over 300 Brooklyn artists’ studios, around which she planned panel discussions and other artist/collector-centered events. Since moving to California, Drucie worked at Pace Gallery in Palo Alto before coming to work at the Catharine Clark Gallery to assist in programming and collector support. She has a BA in Art History from Wellesley College and spent two years studying Computer Art at the School of Visual Arts in New York City.